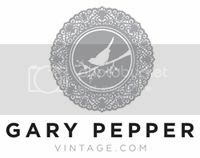 Gary Pepper Vintage: A . D R E A M . S T A T E .
A . D R E A M . S T A T E .
This time last year I'm pretty sure I was jumping up and down on the side of a cliff (here) with a few foil love heart balloons, ready to welcome the new year and to celebrate my blog's first ever birthday. Well, seeing as this is my last outfit post for 2011 I thought I would carry on the tradition and put a little more effort into this special end of year post. This year I opted for a red lace and pleated dress by an up and coming designer from Queensland called The Babushka Ballerina, which we shot on a picturesque dry lake down in Tasmania. It catches the wind perfectly and with a slight breeze becomes full of volume and resembles the petals of an open rose. The perfect dreamy dress to help my mind wander into its usual whimsical and unrealistic state. So with another year drawing to an end and another year full of your incredible love and support, I just wanted to thank each and every one of you - new and old readers alike - for taking the time to visit my blog. Whether it be once a day or once a year, a comment, a tweet, or a 'like', it all matters to me so thank you over and over again. So many amazing opportunities await us in 2012 and I just cannot wait to see what this exciting new year will bring for us. I have a feeling it's going to be our best year yet. So as I said last year, here's to a new year full of light, love, happiness and health, with no fear and absolutely no looking back. Wherever you are in the world, whatever you inspire to be, always remember to do what you love and do it well. Leave them all behind. Happy New Years Eve everyone! These photos and that dress are amazing. Christ, these are some gorgeous pictures. My eyes thank you. (; Happy New Year! It's so unfair that you always look so stunning! That dress is the epitome of elegance and class. oh my god! These photos are amazing, so powerful. OMG! OMG!! I just can't believe these photos!!?? They're out of this world as well as your dress!! MAJOR OUTFIT PHOTOS EVER!!! Happy New Year and thank you for inspiring text! This dress is stunning! The photos are incredible. Hey it has been a joy following your blog in 2011. To more great blogging years ahead! I absolutely LOVE this dress. The deep red, the pleating, just amazing. happy new years! what a truly magical post. that dress is lovely. You look absolutely stunning in the dress. This year has been such a great year! btw: what kind of camera do you use to take your pictures? this is by far one of my favourite post for the year the fluidity of that dress is just so AMAZING! holy schhhhhhhmmmmooooookkkkkkeeeeesssss!!!!! that is HOT! what an awesome setting and that dress is just simply stunning! 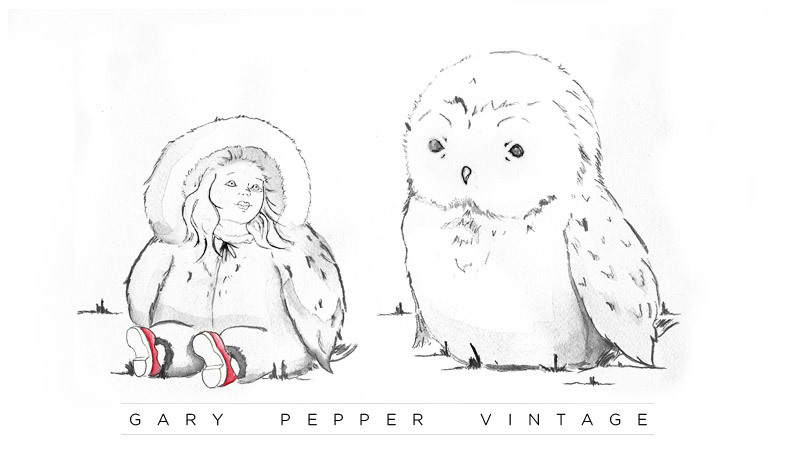 The happiest New Year Nicole & the Gary Pepper Vintage team! Waw, those pictures are so editorial! Happy new year to you (and your blog). these shots look like they came straight out of a magazine! gorgeous photos and look as usual! OMG, Nicole you look amazing!! The dress ist just so stunning! I love your dress<3!!! It'so pretty! When I scrolled down and saw the first image, i just stopped and thought wow! These pictures are amazing and you look so beautiful! Happy New Year! Beautiful photos. The first one is my absolute favorite. I love this shot, as I love all your shots! I wish you a prosperous 2012. Thanks for your inspiring shots and your wonderful styling! Best wishes in New Year!!!!!! this dress is so perfect. I could die for it! This dress is fabulous, have an iconic NYE! and the dress is so amazing! This is incredibly stunning. Well done. So great pictures!!! !You amazingly beautiful!!! oh my god, you're a vision in that dress! Wonderful dress; you're extremely photogenic <3 Happy new year! Nic! OMG! These photos are breath-taking! That dress is magnificently gorgeous!!! Love the fotos! Very editorial! Happy New Year, love! Here's to a better year ahead of us! 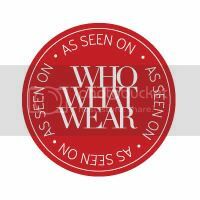 Great photographs, this dress looks absolutely stunning on you! I love all of the movement that was captured. Happy New Year and have a great start to 2012! Such fantastic photos! I loved last year's New Years pictures too, those balloons were too cute. Beautiful images ! Happy new year! Fabulous, fabulous pictures, the designers must be so happy to have you modelling for them! And I love that you gave the World Vision cards as gifts - my family hardly ever give each other normal presents any more as we tend to go for things from Oxfam or the zoo or WWF these days, those sort of gifts are so powerful! All the best for 2012! these photos are gorgeous and the dress is also. color really looks amazing on you. best shoot of the year! Beautiful photos! the dress is so gorgeous! You have been my daily inspiration for the past 2 years. Thank you for everything. Wow Nicole, editorial! You're crazy. Best blog post and not just the best one on this blog. an amazing shocker of a dress xoxo this is just stunning. the timing, the cut, the colour. It's so..Babushka!! hope you enjoyed your hols :) looks like 2012 is going to be a great as year. I can't get over how ridiculously amazing these photos are! and the dress! and you! Have a happy happy year 2012! So I know I've pretty much commented on these photos on every single other social media outlet, but I'd just like to say one more time how incredibly beautiful these are. I keep clicking back onto this link just to stare at the amazing fluid movement of the dress and the breath taking scenery. I've been following your blog for nearly a year but I honestly think this is your best post to date! The photos, the dress, you, everything is so beautiful and perfect. I am happy to follow you, happy new year! Simply stunning. Amazing editorial quality shots. Love the dress. Amazing colour. Happy New Year. Dream BIG! You have nailed it with these shots, dress and incredible location! Watch out 2012, I honestly believe this year will be an amazing one for Gary Pepper. Always a pleasure to watch your journey blossom. Dress has an incredible impression - the color, length, the way in which flutters in the wind. Small piece of art! I can't take my eyes! happy new year to you and all your reades! love the dress! hope all our wishes (or most) to come true! love from greece. I'm gonna stay on your blog for a while and stare,amazing!! That's a really Nice dress.... Love the photo's! Amazing dress! It's really impressive! OMG, this is so pretty! Beautifuuuul! OMG! Amazing, amazing and amazing. The dress is WOW and the photos are totally beautiful. That dress is so gorgeous! Just like the girl wearing it. I wonder when I can have such a dress. Happy new year Nicole! you're the main inspiration on my creating a blog as a fresh beginner of my 2012! More power and success! You look pretty love the pictures!! Such an amzing dress and breath-taking pictures... wow!! SIMPLY STUNNING! Red is your color! Wow these photos are just amazing. Perfect setting. Perfect dress. Happy New year! These shot's are absolutely stunning. Beautiful! Wow, these photos are dreamy! You look absolutely stunning! Happy new year!! A happy and eventful year to You, Nicole! All the best and good luck! you look gorgeous & the dress is amazing! Happy new year! Wow, that dress, the color, the structure, the details, it's everything. WOAH! what a work of art . YOU LOOK ABSOLUTELY stunning. as usual! These are worthy of being in Vogue Magazine! You've really outdone yourself with these photos. the dress is gorgeous!! love it!! This is amazing. Finding your blog has fixed a previously impossibly slow day at work. Thank you and Happy New Year! You went out with a bang on this one! Best blog post I have seen this year on all accounts. This is like magazine editorial quality. These are absolutely stunning. wow! Your pics always take my breathe away.. Clothing is utter perfection and the settings are stunning.. Here's to 2012!! I'm straight but I'm in love with you! Those photos are AMAZING and I loooveee your blog and your style, wanna have just a little of your incredible taste! Just had to take that out from my chest :-) Happy new year from Perú! The most beautiful pics I've ever seen!!!!!!!!!!! wow omg this pictures are so stunning! i seriously love your blog! i find it so inspiring! my latest post on my blog was kind of inspired by this outfit and the photos, i hope you can check it out and tell me what you think, it would mean so much tome! This is truly breathtaking. By far one of my fav's! It looks like it came straight out of a magazine! Great photos!!! Love the dress and happy new year to you! La robe est merveilleuse, et vous êtes sublime ! My dear, happy new year! you're featured in my blog in the 2011 summary! Beautiful! Belated happy new year! Very editorial worthy photographs. Especially love the last one. Absolutely beautiful! Happy New Year. the dress is amazing! you look stunning!!! Hello! Nice meeting u today at Zara! This shoot is just awsome and the red color looks great on you! Dreams are made of stunningness like this! Probably the most exquisitely composed set of images I've seen in a long time. The pictures are just amazing! Wow, no words to express. These pictures are absolutely gorgeous, and that dress is amazing! You look fabulous! You are so a-ma-zing ! This pictures look like they came from a catalog! So pretty! The pictures are stunning! So are the dress and the model. Beautiful work. First, what an awesome first photo! Second, I love your parting words. Truly inspiring! Simple as it is: WOW!! The dress and the backround simply wow! I love it!